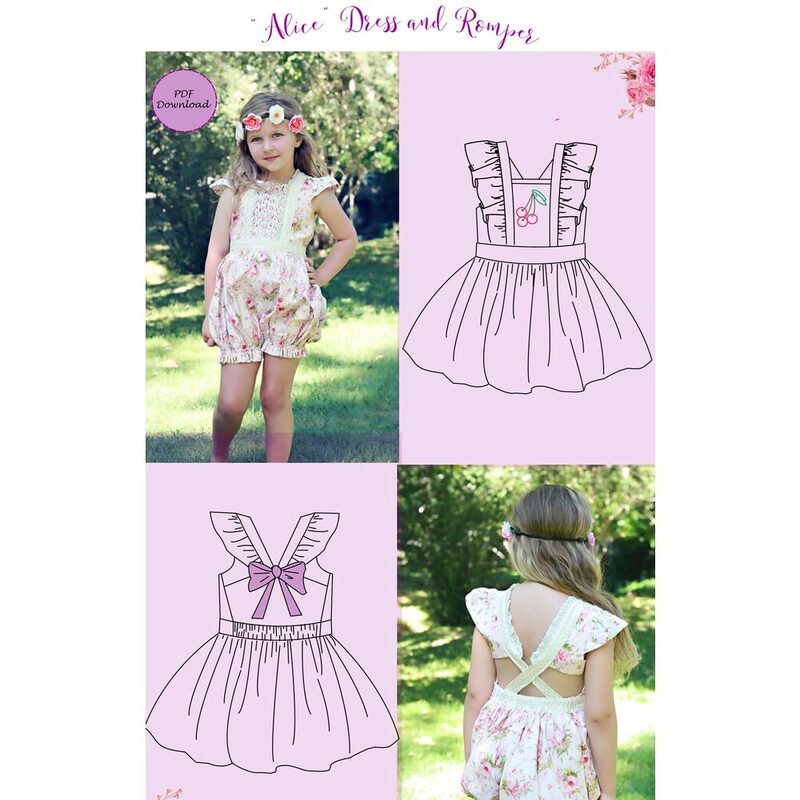 Create a precious outfit for the little girl in your life with the Alice pattern! Alice is a darling and versatile pattern that allows you to mix and match cap sleeves and flutter sleevs so you get the look you want! 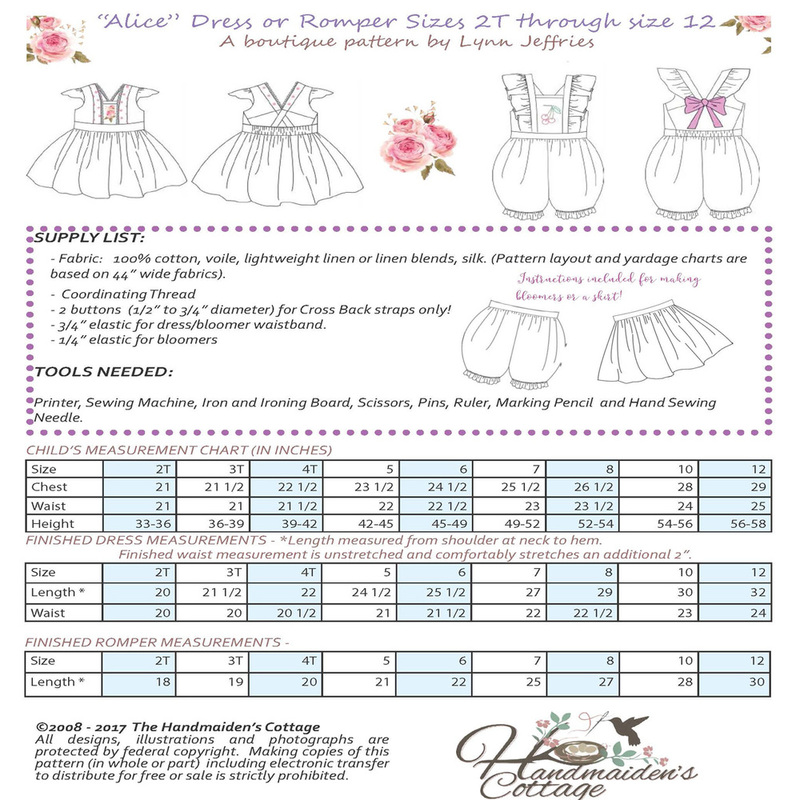 PDF Pattern includes sizes 2T, 3T, 4T, 5, 6, 7, 8, 10, and 12. Designed by the Handmaiden's Cottage.